Offering a convenient and flexible place to store documents, papers and stationery, this beech-finish desk high pedestal can fit conveniently next to your desk to provide additional work space. 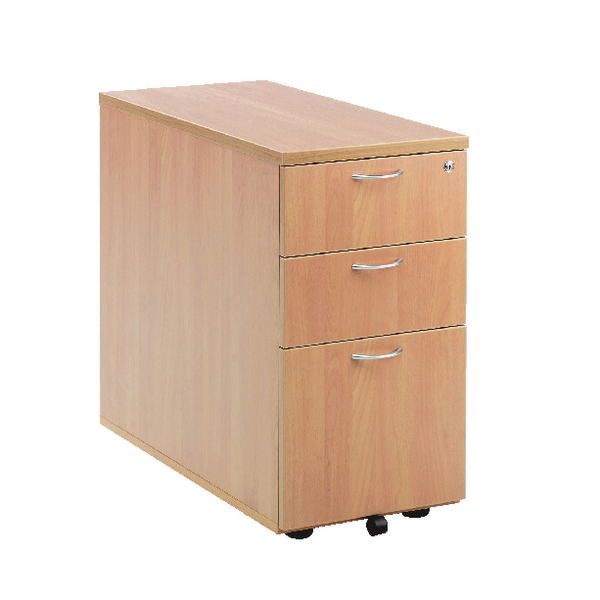 The pedestal features 2 box drawers and 1 filing drawer suitable for foolscap suspension filing. This pedestal measures W404xD800xH730mm and can be placed beside the 800mm end of a radial desk, or used with a standard desk.